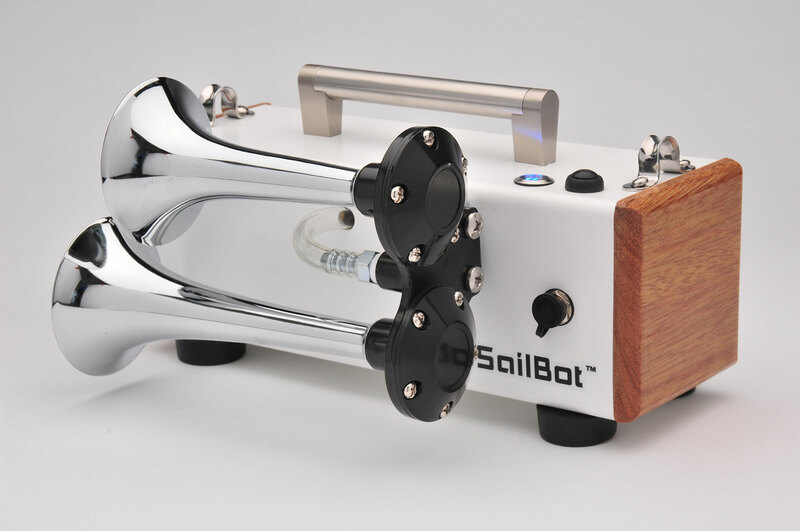 SailBot is self contained and houses the electronics, battery and horn system. 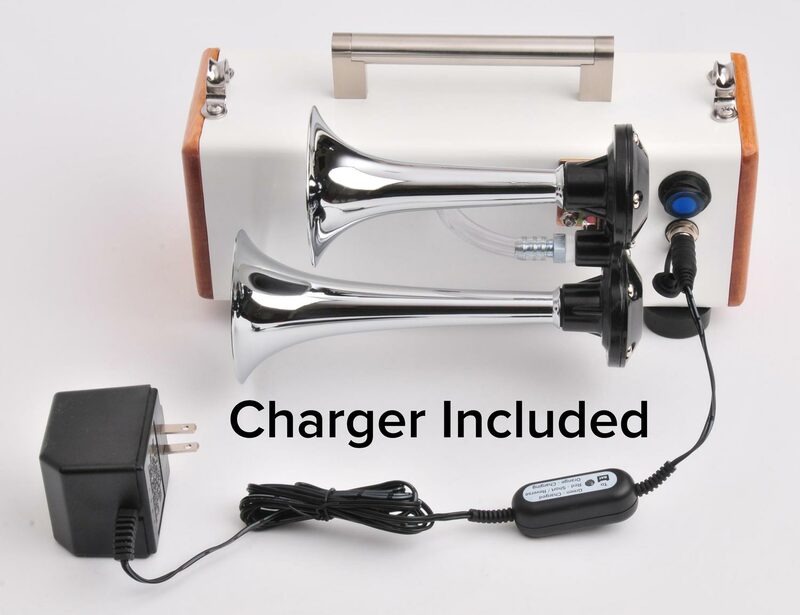 To control it you will need an iPhone, iPad or iPod Touch (sold separately) and will need to install our free SailBot app from the app store. SailBot is quite simply the most flexible and advanced sailboat race starting system available. Bluetooth Low Energy connected, iPhone, iPad or iPod Touch controlled, ready when you are. Curious how this works? Download the free app now and see for yourself how simple it is to to have automated, perfect start sequences. 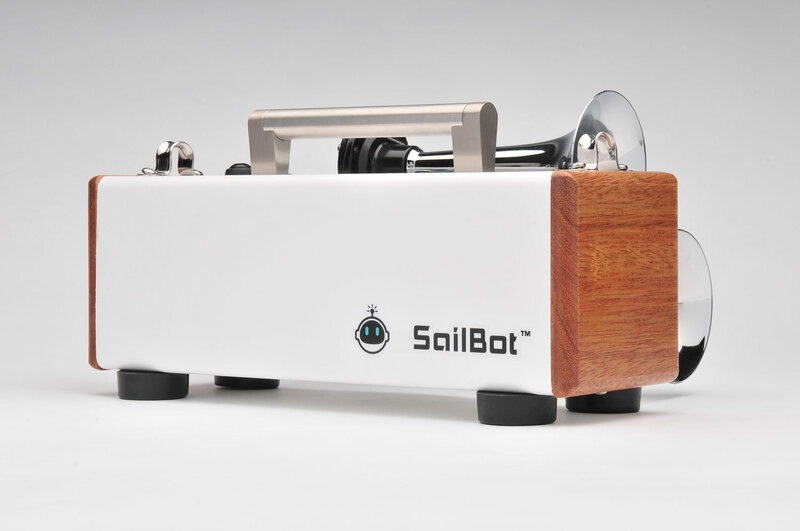 SailBot is a self contained starting horn used in combination with our free iOS app (available from the App Store). 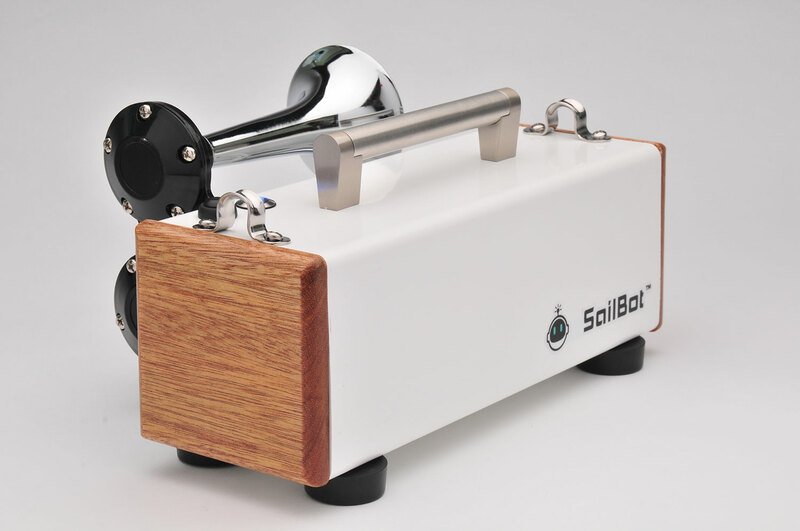 The SailBot starter contains a battery, horn, and Bluetooth electronics in a durable and stylish nautical-inspired enclosure. 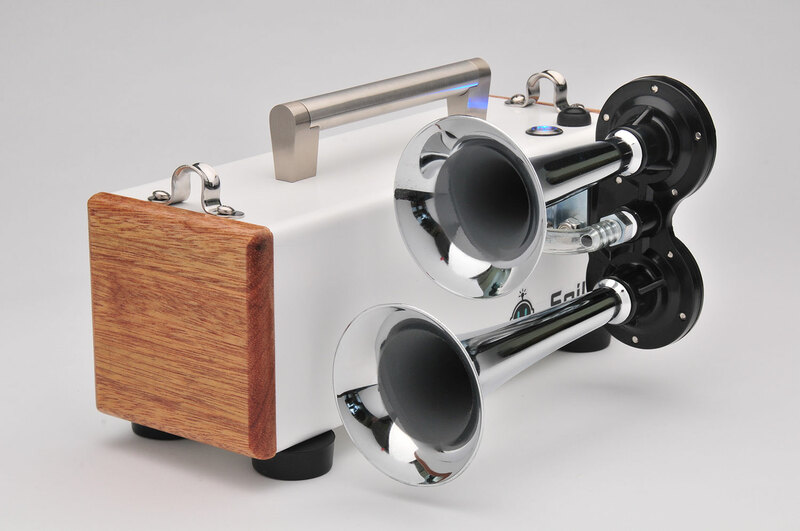 The iPhone connects to the SailBot by long-range Bluetooth Low Energy and controls the horns. In addition to the pre-programmed sequences, SailBot is the only sailboat race starting solution that allows users to create and edit their own custom starting sequences! 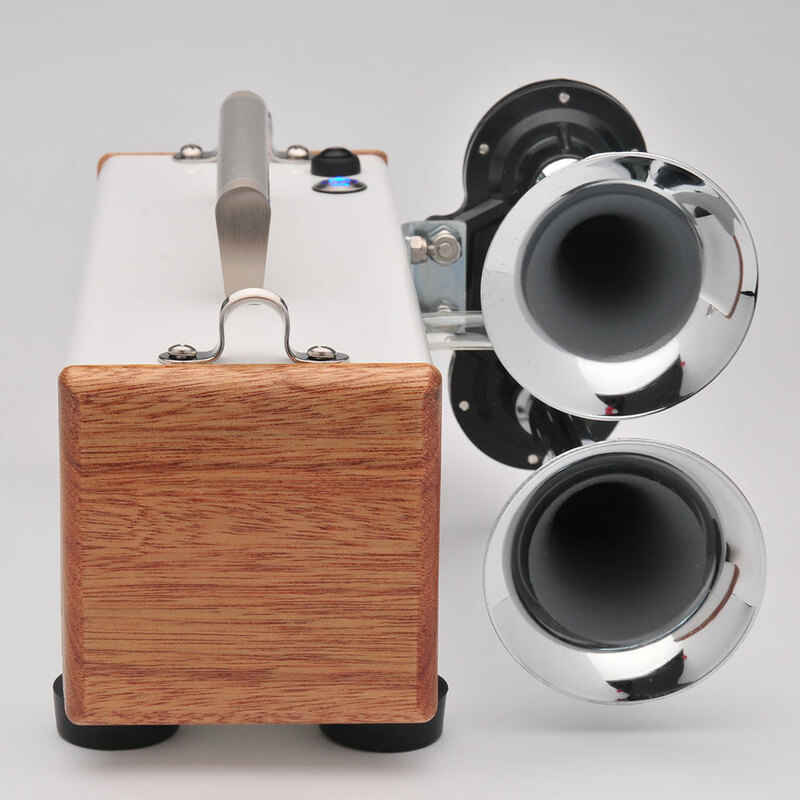 Using an app to control the horn unit allows future upgrades to be easily distributed to all users by way of an app update. We are currently working on groundbreaking features that are only possible with our system. 1 Minute Dinghy, 2 Minute Dinghy, 3 Minute Dinghy, 3 Minute Rule 26, 5 Minute Rule 26, 10 Minute Match, All sequences can be single or rolling, with number of rolling starts set by user. SailBot Starter is the only sailboat race starting solution that allows users to program their own custom starting sequence! If your team or club has their own way of doing things, download the app now and give it a try for yourself. We use SailBot for our high school sailing team to run practice races. It is the perfect solution for us! Before SailBot the kids could never hear the whistle and my lungs were sore! 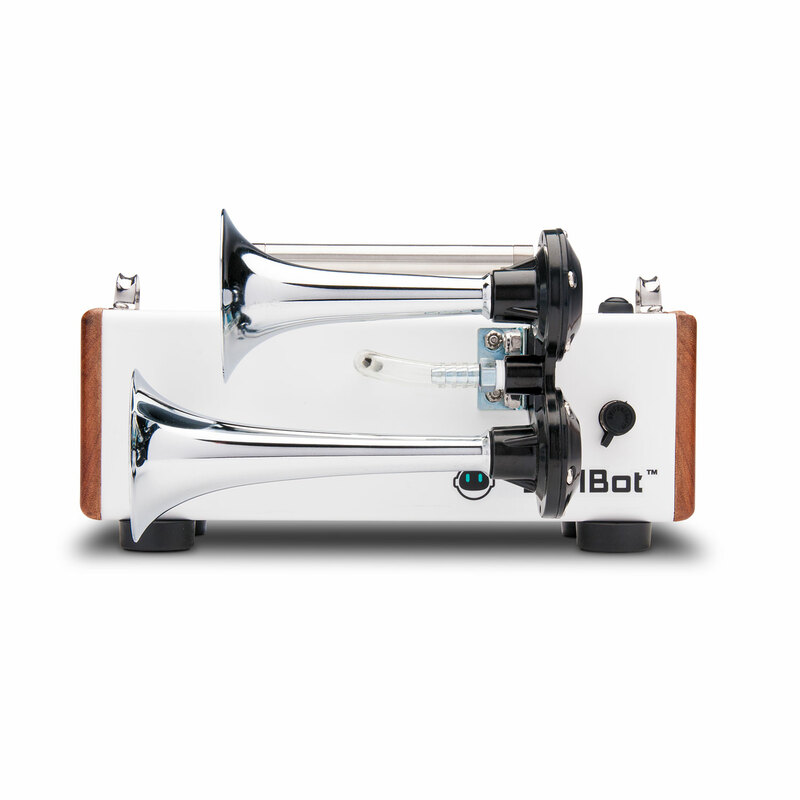 SailBot is easy, loud, and convenient. I love that I can set up my own start sequences in the app in case I want to do something different to keep the kids on their toes. Thank you so much! I have been meaning to write you to let you know that we have loved the SailBot. We had a youth invitational for 94 sailors on July 7 that went off great with the dinghy sequence, and then another 2 day regatta with old turn of the century Wianno Seniors (about two dozen 25 foot sailboats with 4 crew) last weekend using the 5 min Rule 26 start. As an iPhone user myself, having the app as the controller is seamless. You have a great product you should be proud of. We’ll be sure to promote the device among our Southern Mass sailors and clubs. Thanks a lot. Is really a very good product!